Doing business in 2018 is nothing like we’ve ever seen before. The pace is fast. The popularity of social media platforms comes and goes faster than you can get a strategy down. People can hardly wait for solid work to be done–much less for an email to be answered! And yet, there are amazing things happening. Thanks to some of those same fast technologies, it’s never been easier to start a business and hire help, sometimes entirely virtually. Virtual culture means how we deal with people and situations has to change too. 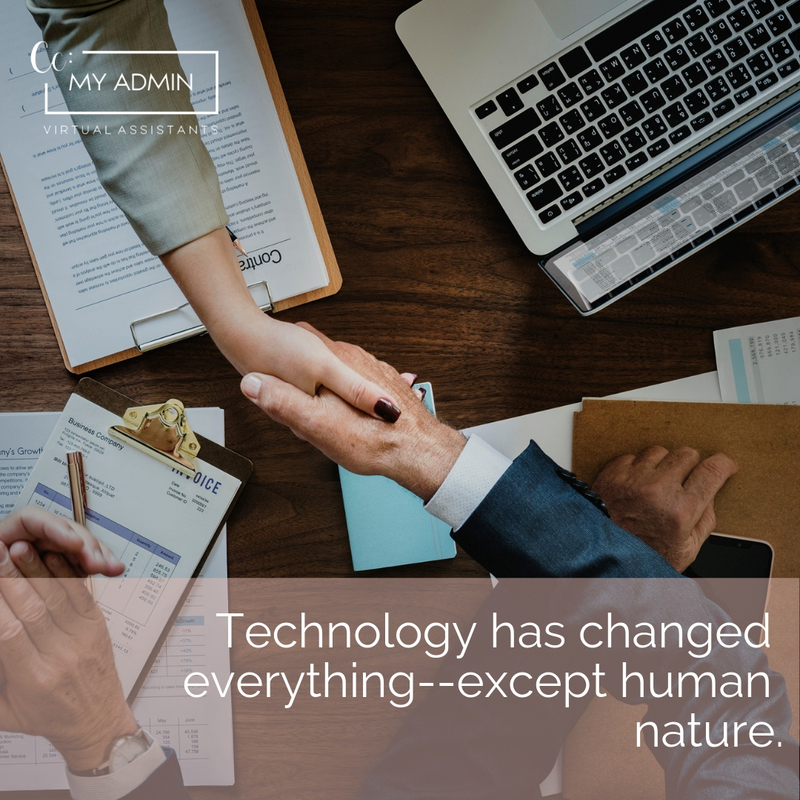 In fact, the only thing that hasn’t changed is the nature of who is on the other side of the screen–a human, with very human psyches and capabilities and needs. This second part of our Ultimate Virtual Training Guide deals with many of those. You can’t always see your virtual assistant sitting on the other side of the screen, but you can trust that they are very much human. If you worked with that person in real life, you would probably make yourself available to them, maybe without thinking about it. Think of a physical office–the boss often has a door open in times they aren’t urgently busy, or they will wander over to ask an employee how a project is going, or they will make hours specifically for addressing issues and tasks. They will often even make time for people they run into in the hallway or on their way out the door. With a computer and who-knows-how-many miles between you, you have to be intentional about being available to your virtual team members. We’re not talking micro-management here; just some simple gestures will go far to show you have time to deal with your people. Having a set time to talk may be one. Answering questions kindly, and in a timely fashion may be another. Sometimes the greatest courtesy and show that you are available is in picking up the phone to quickly answer a question that could drag on if left to email or even Slack. Showing availability to your support staff demonstrates that you care about the work that they are doing and that they are a valued part of their team. It can increase their loyalty and improve communication all around. No, no, we don’t mean throw a party for your virtual staff. And we don’t mean something trite, or that fun is placed before work. But if you’ve been in business long at all you know that collaboration is valuable. You know what happens when you give people a way to talk to each other? They talk. Yep, it’s true. And when people working on the same projects talk, they talk about the project. Ideas are formed. Plans are made. More gets done. Real-life co-workers do this without thinking about it. But virtual employees can do it too! There are all sorts of ways to encourage and facilitate collaboration between your VA and anyone else involved with your business. You can get everyone on Slack and they can talk across different channels. You could meet regularly on Zoom. Or you could start your own small-scale social network with a platform like Mighty. But we highly encourage you to do something, because when team members start talking, things start happening. You’re a smart, successful person. You know a lot about your specialty and your passion–the things that got you into your business. But because you are not an administrative assistant, or bookkeeper, or social media specialist, you may not know just what your VA needs to be the best they can be. And that’s okay. Four little words can really help you out here. In other words, what things can you provide for your VA that will help them excel in their task? It may be that they need more direction, or some training in an area specific to your business, or feedback on a regular basis. But there is likely something that you just don’t realize would help them, because you don’t do their job. So ask. It will help them, and that ultimately helps you. On the flip side, your virtual assistant will certainly have questions for you. They may seem time-consuming or just “another thing to do,” but being open for them is important. The questions of an excellent VA are –and this is important– driven by a desire to please you. That’s a very good thing! And it’s why taking a brief moment to explain is helpful to both sides. You may not know why they’re asking about why you use certain systems, what those systems do, or (insert questions here), but if it will help them in their role of making you happy–who doesn’t want that? In 2018, yes, everything seems to be changing–especially in business. But rest assured, what people want and need from the person in charge hasn’t. Business leaders like you excel when they realize they must keep in mind that there is a human on the other side of the screen. Thankfully, using some of these amazing new and yes, changing, technologies can increase performance and help you get the most out of the money you’re investing in them. We hope that implementing the steps in this guide helps you see the biggest changes that you want–both a business that grows and a lifestyle that is sustainable for you!